It is a tandem. 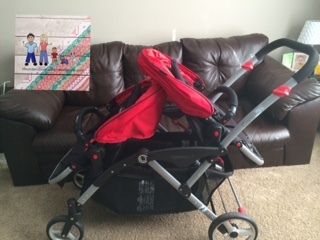 So it is narrow enough to fit through doorways and around tight corners where other strollers wouldn’t. It’s compact. It folds pretty flat when the seats aren’t attached and it fits in our small trunk space nicely (We drive a Dodge Caliber). The basket is HUGE. The storage space this thing has is gigantic! I could fit four diaper bags in it if I needed to. It’s really deep so things won’t just fall out either. It is compatible with almost any car seat/carrier. 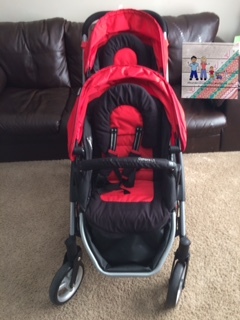 It comes with one infant seat adapter that will buckle in most car seats. 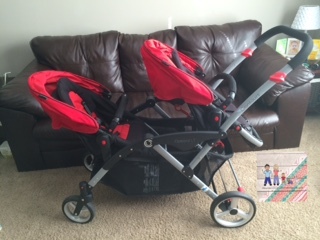 It was really hard to find one that would adapt to our Cybex Aton q. The three I listed above all do but the contours was my favorite. 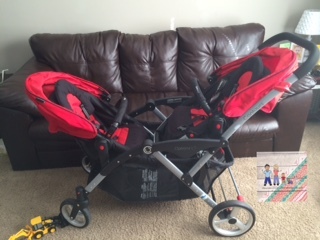 You can even buy a second adapter and have two car seats if you have twins. It has 7 different seating arrangements. You can face the seats in any direction you want to. They detach and connect so easily that it makes for very quick adjustments. The seats recline nicely. Only in certain positions does the recline not work as well. But they do recline at least a little in any position the seats are in (I’ve tried). The footrests. 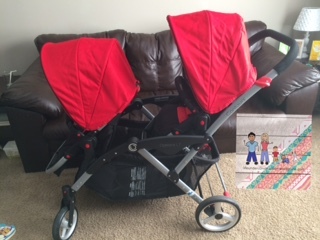 They are also reclineable and adjustable to fit the needs of your child. The safety bar. 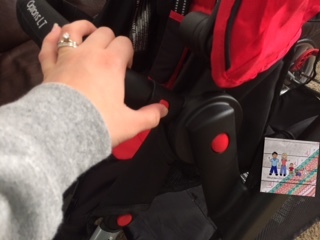 The little bar that keeps the kid in the seat disconnects and swivels for easy access to the child if they need to get out. 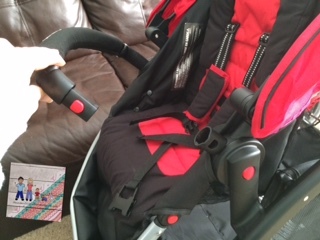 And it connects in the same way that the seats connect to the stroller frame. 5 point harness. Enough said. Smooth steering. It’s just as smooth, if not smoother than our one seater (Graco). I love how it steers. It will go on any surface type. Length. It’s not too big front to back either. It has a stadium type seating where the back seat is higher so that they can be closer together. It doesn’t feel like you’re steering a boat because of this. It’s not much different than steering a one seater. As far as cons go, I can’t think of one. On the reviews I read, a lot of them complained about its size. But it is a two seater, they are all big. 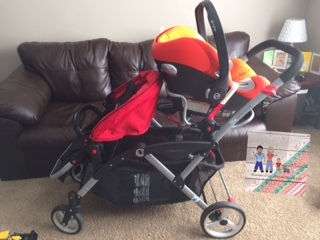 This entry was posted in Reviews and tagged contours options, contours optios elite, pictures, Review, stroller, tandem stroller, two seat stroller. Bookmark the permalink.